After winning 96 percent seats unopposed, BJP sweeps the remaining Gram Panchayat and Samitis seats in Tripura! 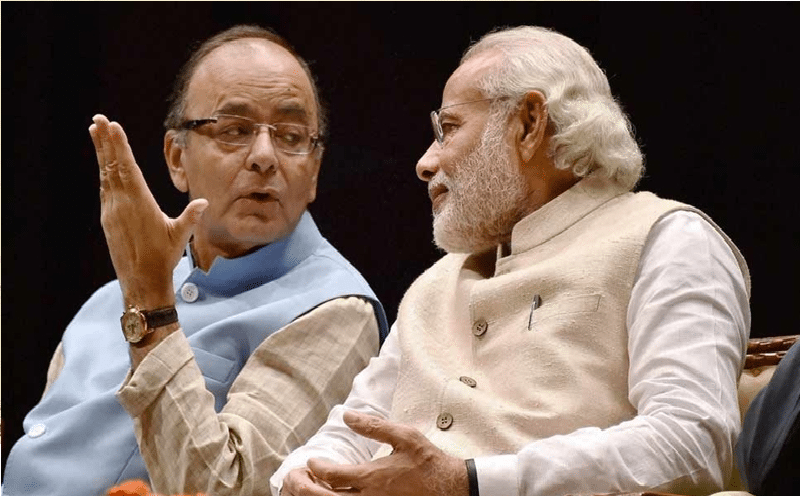 Not Rs 2.50, but the petrol and diesel prices reduced by Rs 5? 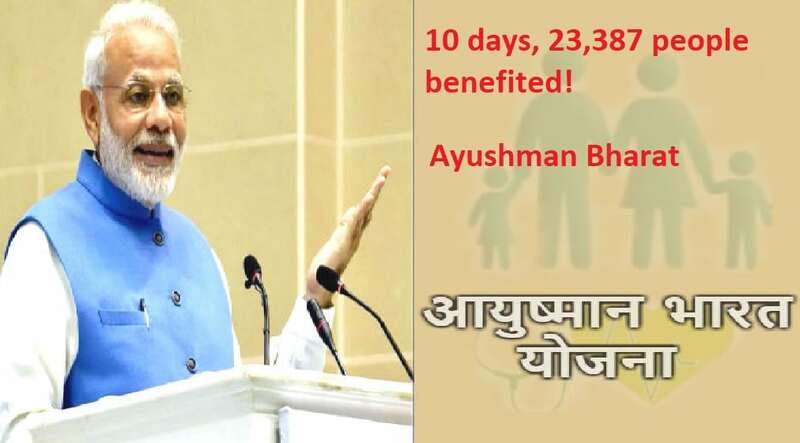 PM Modi’s flagship program Ayushman Bharat’s massive success: 10 days, 23,387 people benefited, Rs 38.1 crore spent! Not Rs 2.50, but the..
PM Modi’s flagship program Ayushman..
BJP will not come to power again!! 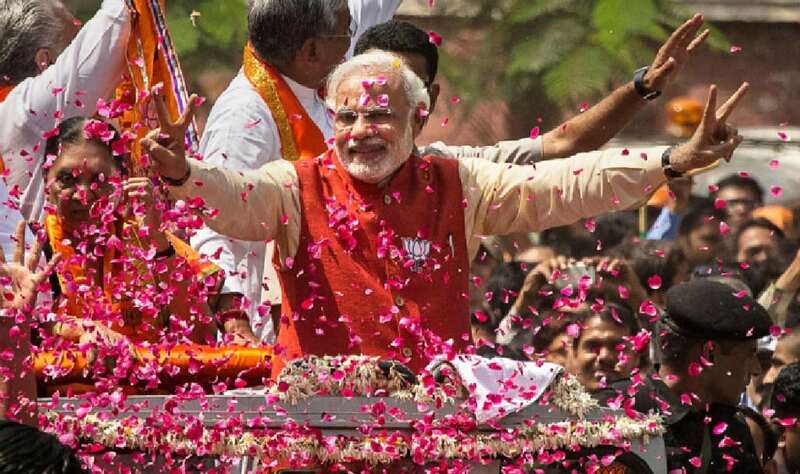 Modi wave is over!! People are very angry with Modi Government over some of the drastic moves taken by the Government. People are fed up with growing inflation. This is what some people who are anti- Modi and anti- India think and propagate all time. Wait!! But let me stop their day dreaming here only. Let me tell them this is actually what they want not the nation. People of the nation love PM Modi and his Government and they have proved this time to time. The ally of BJP, Indigenous Peoples Front of Tripura (IPFT) bagged 9 Gram Panchayat seats while the opposition CPI (M) & Congress won mere 4 seats. In two Gram Panchayat seats, in Khowai Rural Development Block of Khowai district, 60 kms from Agartala, re polling is to be held, the results for which would be announced on October 7. In Assembly elections held, few months back this year BJP created history by grabbing 2/3 majority in a state where in 2013 the party was completely ducked out and Congress which earlier had 10 members in the outgoing assembly failed to even open its account in the Assembly elections. The opposition as always has started their agenda of polls not being fair and urged the state Election Commission to reschedule the election process. They claimed that massive violence prevented their nominees from filing papers. The truth of the time is BJP has given major blow to communists who have been guiding the destiny of Tripura for 20 long years. The left has been completely wiped off from the Tripura with no signs of recovery. People of Tripura have now understood the reality and voted for revolutionary change which they know only the Government like BJP who believes in “Sabka Saath Sabka Vikas” can deliver. After creating History in assembly elections in Tripura, BJP sweeps Gram Panchayat polls unopposed! From 0 seats to 43 seats, from 1.5% to 50% vote share, do you know the masterminds behind the biggest historic victory of BJP in Tripura? Congress wiped out from Nagaland and Tripura, BJP makes historic surge in North East!